This year in the Legnica International Jewellery Competition REVOLT participated 319 artists from 43 countries. They sended 625 pieces. International jury (Galit Gaon (IL), Jiro Kamata (JP/DE), Hans Stofer (CH/GB), Sławomir Fijałkowski and Aneta Lis-Marcinkiewicz (PL)), which sessed in the days 4-5 of April, qualified to the exhibition part of pieces and chosed laureates. Names of the winners we will know on the vernissage, 18th of May 2013 in the Gallery of Art in Legnica, Poland. It is better not to turn on the television today. We are being attacked by images of economic crises, stock market crashes, falling ratings, budget deficits, cost cutting programs and increasing unemployment from everywhere. As a reaction to the overwhelming impression of a lack of opportunities there are emerging movements such as « Occupy … », helplessly protesting against banksters, corporations and governments. Doesn’t speaking in such circumstances about jewellery – the subject invariably associated with the demonstration of wealth and selfish hedonism – seem socially unacceptable and even ethically suspect? After all, the burning of ATMs and the broken glass of jeweller’s shops have become part of the frustration of all the Indignados. But there is also another aspect of the design and use of jewellery – which – like no other product of the imagination – can be an effective message, manifesting the point of view of the user – a voice of protest, being anti-or pro-, attitudes of rebellion, rebellion and guerrilla warfare. Can a standard set of slogans written out on banners, T-shirts and slap tags be complemented with another more sophisticated message? 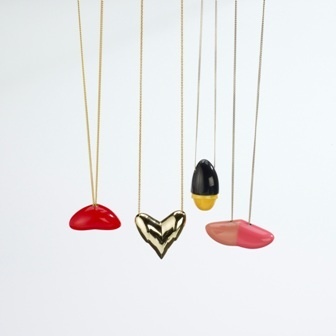 Are jewellery designers able to demonstrate their own opinion and join the discussion concerning non-aesthetic issues? Is the tradition of exclusive gold jewellery going to be our irreversible remorse? And will the chorus « Diamonds are a girl’s best friend » always sound as infantile as the recent testimony before the European Court of Justice in The Hague of the famous model Naomi Campbell, who at one time accepted an embarrassing gift from the dictator of Liberia, tried for war crimes, so evocatively reconstructed in the movie « Blood Diamond » with Leo DiCaprio as a ruthless mercenary? 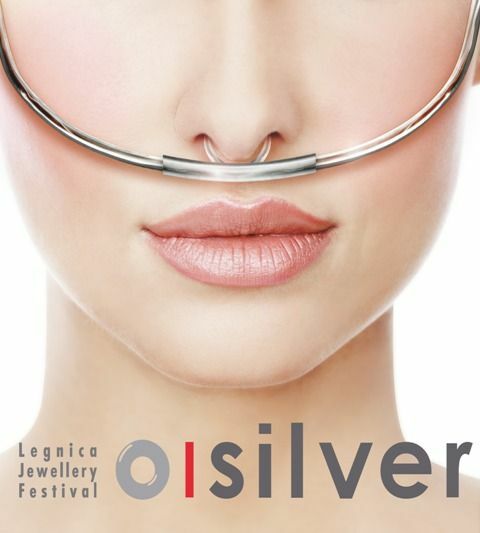 LEGNICA INTERNATIONAL JEWELLERY COMPETITION The competition dates back to 1979 and every year it has a different topic. The competition is open and addressed to all artists, whose task is to present their work on a given topic – every year a different one – including an original artistic idea and representing a high level of artistry and technical skills. What is favoured is the concept, value and meaning of an artistic expression. Works entered for the competition are assessed by an international jury, on which over fifty outstanding goldsmithing artists and theoreticians have sat so far. What is characteristic of the competition is the fact that the winners of the first three prizes receive – according to a long-standing tradition – silver pellets and cash prizes. The submitted works are qualified by an international jury. Over the years, we have invited a number of distinguished artists to seat on the jury, including: G. Babetto, G. Bakker, O. Boekhoudt, S. Bronger, R. Puig Cuyás, P. Derrez, G. Dobler, A. Gut, F. Falk, M.R. Franzin, M.J. van den Hout, E. Knobel, O. Kűnzli, T. Noten, V.K. Novák, R. Peters, M. Petry, K. Pontoppidan, G. Pucsala, A. Ratnikowa, P. Sajet, B. Schobinger, P. Skubic, Z. Songqing, W. Tasso-Mattar, T. Smeets, D. Watkins, M. Vilhena, A. Zanella and from Poland – M. Dubiel, M. Gradowski, I. Huml, S. Fijałkowski, G. Jabłoński, J. Sokólski, A. Szadkowski, T. Zaremski, A. Wolski. ABOUT THE ARTISTS is a cycle of retrospective presentations of distinguished personalities in jewellery art from Poland and abroad, including: J. Byczewski (PL), S. Fijałkowski (PL), P. Kaczyński (PL), N. Cherry (GB), H. O’Connor (USA), E. Knobel (IL), V.K. Novák (CZ), F. Peters (AU), M. Petry (GB), Rose & Gisbert Stach (D), L. Šikolová (CZ), W. Tasso-Mattar (D). Soon: R. Puig Cuyás (E), H. Hedman (S), P. Sequeira (P). SILVER SCHOOLS is a cycle presenting the artistic oeuvre of jewellery art schools from Europe, their professors, graduates and students. So far there have been presentations of schools from Barcelona, Birmingham, Bratislava, Düsseldorf, Edinburgh, Florence, Hanau, Idar-Oberstein, Lappeenranta, Łódź, Matosinhos, Munich, Oslo, Padua, Pforzheim, Prague, Stockholm, Tallinn and Vilnius. Continuing the cycle in the subsequent years, we are going to show one after the other all European silver schools. A total of 22 schools has been presented so far. The cycle will be continued with the intention to show all of them. DEBUTS is a cycle presenting pieces of young Polish artists, who just start their activity in the field of design and art. Our plan is to invite novices from abroad. THE BOUNDARIES OF GLOBAL ART is a cycle of science sessions devoted to the newest art, goldsmithery and design.